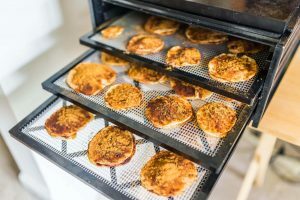 A food dehydrator is a handy piece of kitchen equipment that can help you create healthy snacks, avoid food waste and produce great treats. 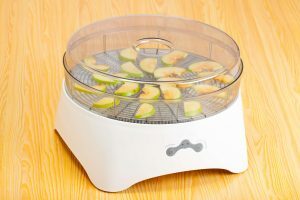 There are many choices available when you are looking to buy a food dehydrator. 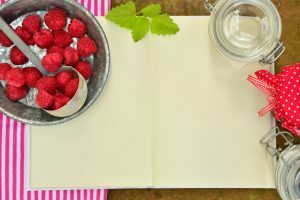 But with all the options available when it comes to food dehydrators you may start getting a bit overwhelmed from choice. We are here to help. 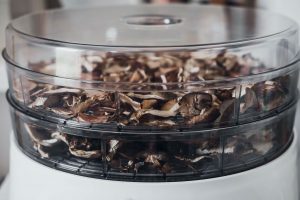 In this piece, we will give you a few tips and tricks so you can easily choose a food dehydrator that will work for you. 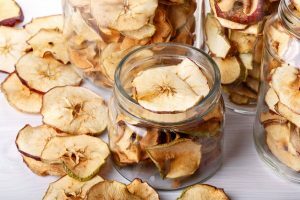 One of the first things to take into account when you buy a food dehydrator is to consider the different kinds that are available. 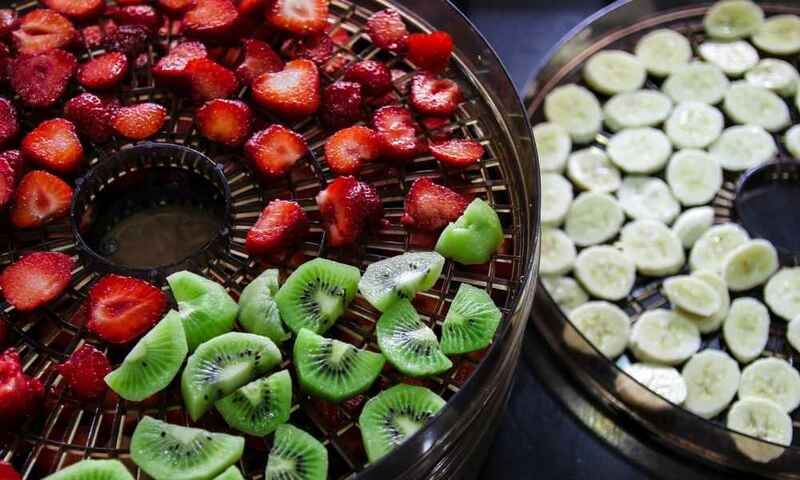 There are many different options, but the main differences you will see is between horizontal or vertical flow food dehydrators. With vertical food dehydrators, the trays usually stack on top of each other. With these types, you will have the heat source and fan either at the base or on the lid. These are quite affordable and work well for fruit and vegetables, but they don’t do well with more heavy duty jobs like jerky. They are smaller and more compact but can also be extended with additional trays. These are well-suited to someone starting out with dehydrating or if you live in a small apartment. Horizontal types have a more uniform distribution of heat and airflow and therefore tend to be a little more expensive. They can handle more types of food and are more versatile. You can easily make beef jerky or work with tougher vegetables. They are larger than the vertical models but do perform better for a wider variety of foods. You will need a little more counter space for these, and they can be loud. 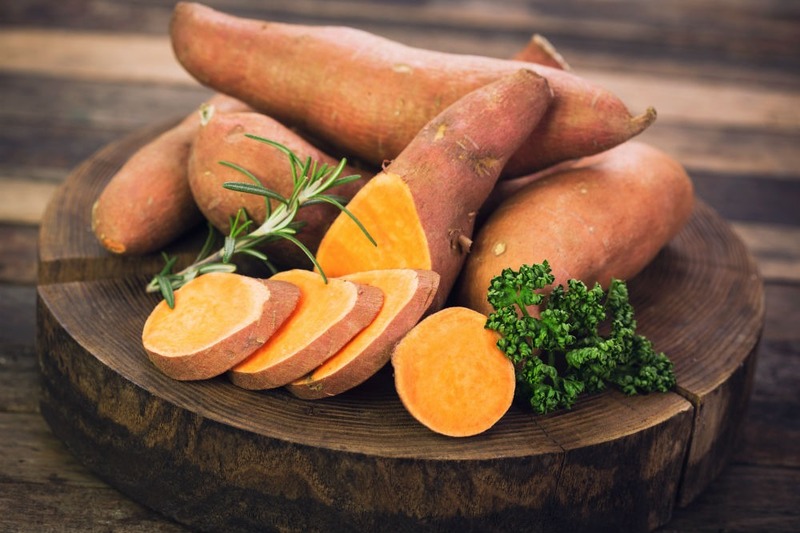 Heat and airflow efficiency are the most important things you want from a food dehydrator. It is the very things that make it work. 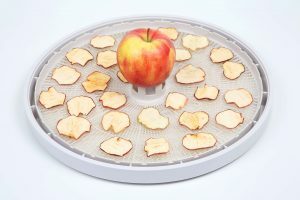 Take a look at the food dehydrator specs, and if you need to rotate the trays, it is a sign that the heat or airflow distribution is not very efficient. Horizontal models tend to distribute air much better than the vertical models. So you need to weigh up convenience against price. Ease of use and automation is the next option to consider. You will need to look at how much work you will need to put into the dehydrating process. Some cheaper models tend to require more work from your side. The more expensive units will automate many of the functions. With cheaper ones, you will need to rotate the trays or keep an eye on the time more often. Other models come with automatic on/off switches, digital timers, and adjustable temperature and so on. These settings make the use of the machine much easier and require less work from your side. Price is another major consideration when you buy anything new. As we said, horizontal models are more expensive but more efficient. Vertical ones are more reasonably priced but not as efficient. So you will need to weigh up what you can spend regarding the level of automation, capacity, and efficiency. While you look at price and effectiveness, also think of the noise levels. 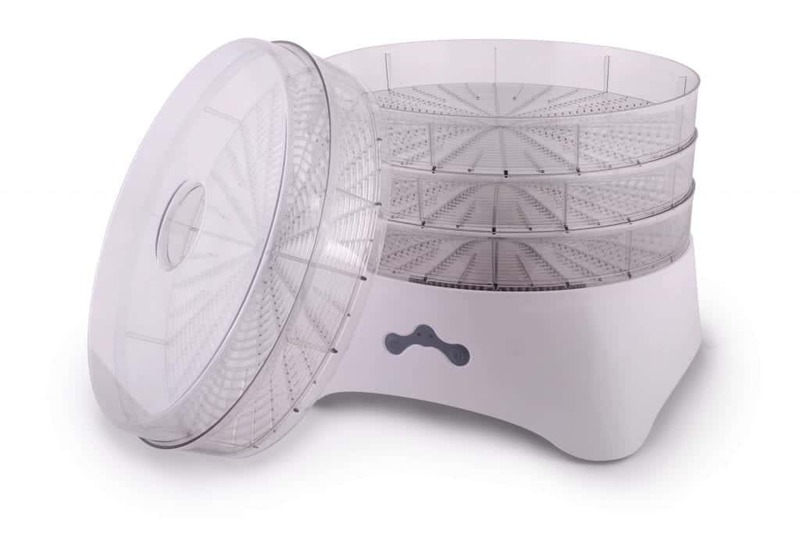 Most food dehydrators have a fan to help with the air flow and make it work better. Some can be quite noisy, but if it doesn’t bother you, it won’t be a problem. If you are willing to spend more, you can get very quiet types with a large capacity. 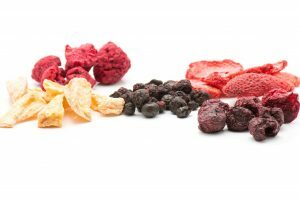 Capacity is the last consideration that can influence the type of food dehydrator you buy. Think about how much food you would like to be able to dehydrate at the same time. Smaller vertical types are compact but can’t do large batches. Larger horizontal models can have up to 12 trays and can do large quantities at the same time. So keep in mind the amount of food you need to work with. 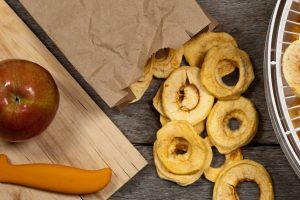 When you are looking to buy a food dehydrator, there are a few basic things you can consider before you hand over your money. 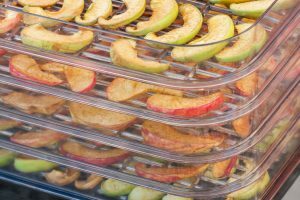 Think about the type of food dehydrator that will work for you, either a compact vertical or a larger horizontal type could be better. Think about the capacity, the noise and the ease of use. All of these factors will influence the price, so your budget will also play a role. The most important thing to consider is what you want to dehydrate with it and how well the one you are looking at will do it. 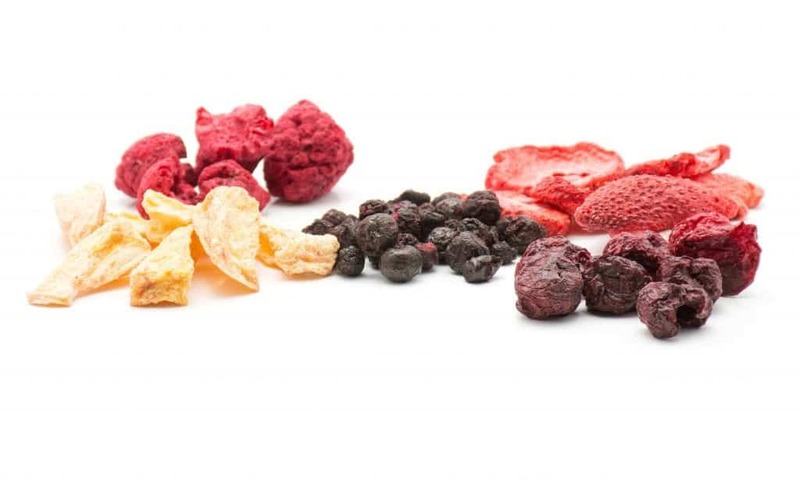 Hopefully, you have a little more insight into how to choose a food dehydrator, and soon you will enjoy your homemade dried fruit and beef jerky.